Live Action Disney Movies – arts, ink. There has been a new trend over the past couple of years in the Disney movies that have been released. Live action Disney movies started with the live action Cinderella and are still continuing now. There are three that are being advertised right now: Dumbo, Aladdin, and The Lion King. The trend started with Cinderella. The movie was almost an exact replica of the animated version. They had tweaked a couple of things and made the movie as beautiful as possible. This movie was beautiful to watch, and gave you the same magic as the animated version. Beauty and the Beast was similar to Cinderella in the fact that it was very similar to the animated version. Both movies included the most popular songs and followed the plot very closely. For some of the movies Disney has changed the formula a little bit. The live action version of the Jungle Book was very different from the animated version. In the live action they only include the most popular songs and they add more to the movie to make it more cohesive and have more substance. The live action Jungle Book improved upon the original animated version of the movie. The movie Maleficent also didn’t just recreate a past movie. But this is because there was no Maleficent movie before this one. This entire live action movie was based off of Maleficent’s part in Sleeping Beauty. The new Disney live action movies are coming out throughout the rest of this year. 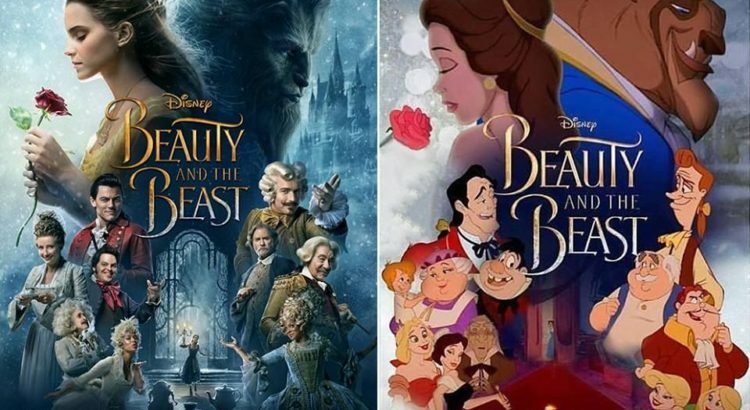 Based on the trailers for the movies, we cannot tell if they movies will follow the plot lines to a T like they had for Cinderella and Beauty and the Beast. I think that The Lion King and Aladdin will follow the original’s plot very closely but Dumbo might stray from it a little more. Dumbo might not follow the movie exactly because the original is not as popular with children now. The animated version of Dumbo was also a little darker than most Disney movies are now, so I think that it might have a more happy and positive tone than the original.